The Multi-Year Training and Exercise Plan is a living document that is updated annually. The document will act as a roadmap for the County by providing direction to implement its Homeland Security Strategy. 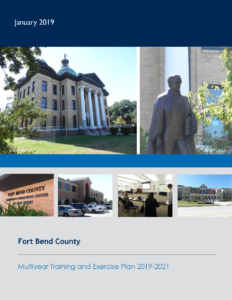 The Multi-Year Training and Exercise Plan will include a schedule that accounts for training and exercises occurring within the County over the ensuing 3 years.